The idea of peace is always enchanting, for it encompasses the tranquility and serenity for which every human yearns. The nation of Israel has never known peace, but it dreams of peace. In practice Israel navigates between the poles of war and peace, with endless middle-of the-road situations like cease-fire, truce, armistice, and other temporary cessations of hostilities. The Oslo Idea traces the roots of the current campaign to delegitimize Israel. The campaign is not linked to Israeli resistance, to the absence of an acceptable settlement between Israel and the Palestinians, or to Israel's reluctance to abandon territory. It results from a change of tactics by the Palestinian leadership. Israeli argues that these tactics have been used to exhaust, reduce, and replace Israel rather than produce a compromise. Half the Palestinian people and other uncompromising Arabs and Muslims have stated that goal openly and act to achieve it. 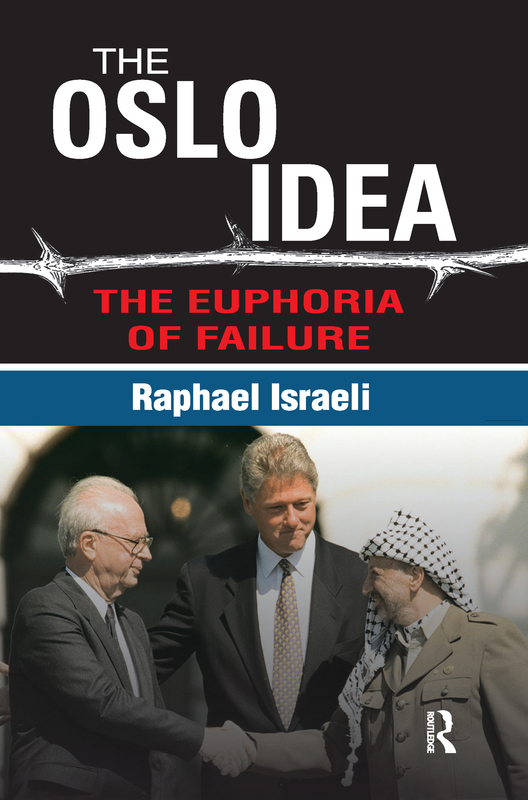 Raphael Israeli deconstructs the immense illusion of the Oslo peace accords, which initiated the so-called -peace process.- He shows how Oslo lured a naive Israeli leadership into a trap. He shows how outside factors, bent on finding and supporting an evasive peace, have helped perpetuate the fiasco Oslo represents. He shows how Oslo's supporters have advanced the -peace process- by coaxing and threatening Israel behind the scenes, and binding Israel alone with the Oslo commitments and their derivatives. More importantly, the author outlines and analyzes the basic and seemingly unbridgeable points of contention that remain: security, refugees, settlements, water, borders, and the status of Jerusalem itself.